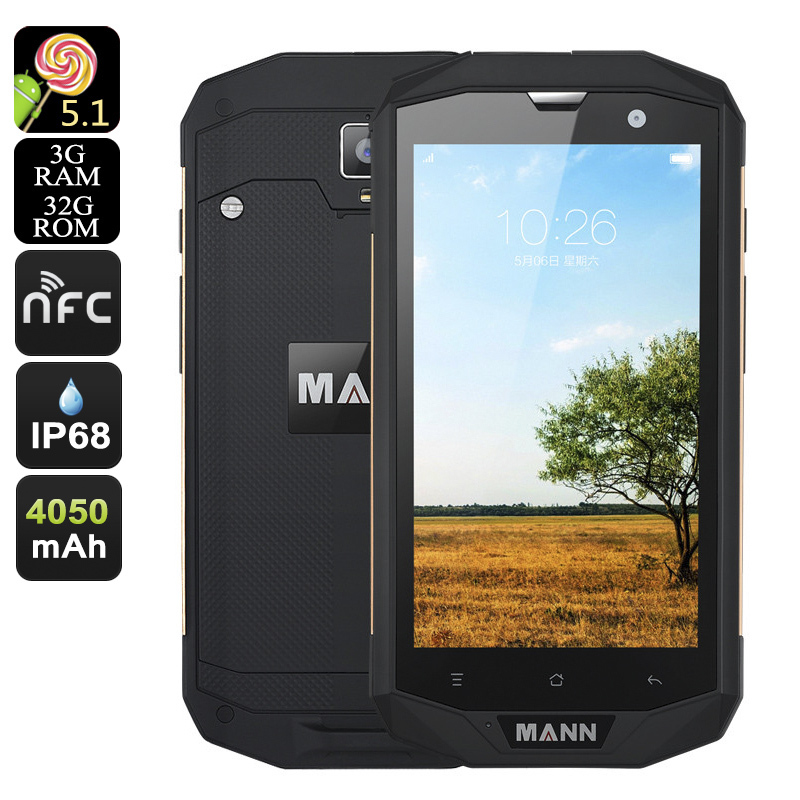 Successfully Added MANN ZUG 5S+ Rugged Smartphone - 4G, IP68, Quad Core CPU, 3GB RAM, 5 Inch 720P Screen, OTG, NFC, 12MP Camera (Gold) to your Shopping Cart. If you want all the features of a high end Smartphone but one that can also stand up to the elements then the MANN ZUG 5S+ is a worthy candidate. With 4G connectivity, a powerful performance and HD display this Android Smartphone won't let you down as its waterproof and dust proof. Thanks to a toughened, amour like, plastic exterior and protective sealed rear its IP68 credentials mean the ZUG 5S+ is impervious to water and dirt ingress. Beneath the tough exterior beats a Qualcomm ARMv7 Quad-core CPU and 3GB of RAM bringing this phone the heart of a warrior so it powers though any challenge with easy like a true champion. Sporting a 5 inch 720P IPS screen brings a clean sharp user interface and 10 point touch offers better controls letting you really let loose with games. Add to that a 4050mAh battery and you can enjoy hours of entertainment or be sure to have enough power to last all weekend without needing a recharge. The MANN XUG 5S+ is a beast of a phone that's ready to take on all challenges so no matter where you find yourself you know it's got your back. This rugged smartphone comes with a 12 months warranty, brought to you by the leader in electronic devices as well as wholesale electronic gadgets..